Private and municipal solid waste landfills receive thousands of tons of waste everyday. Modern landfills are complex sites designed and built to contain pollutants, that they accept or create, from entering the surrounding environment. Early landfills where poorly designed and managed resulting in dangerous levels of pollution in the environment. Landfill operations can and have polluted soil, surface water, groundwater, and the air. 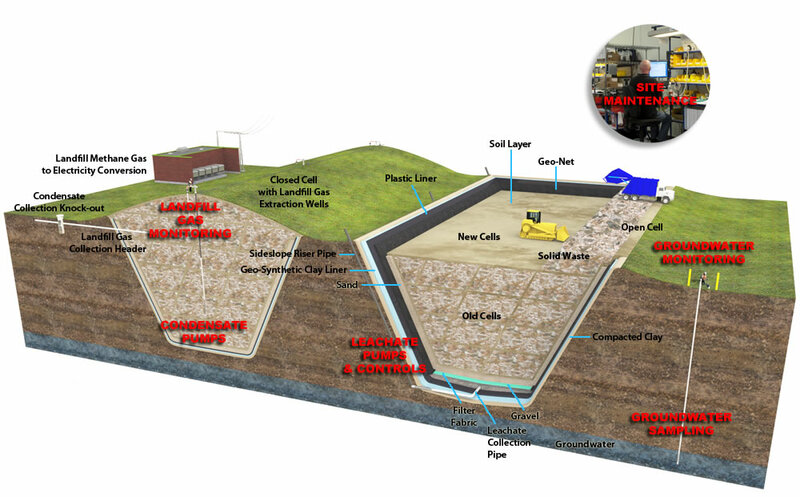 Geotech offers a wide variety of equipment that can be used by landfill operators for sampling and monitoring water, soil and air at or near their site. © 2019 Geotech Environmental Equipment, Inc. All rights reserved.